Uses: put all extracted file in your Freeciv home data directory (~/.freeciv/) or see Freeciv help to put it in other place. 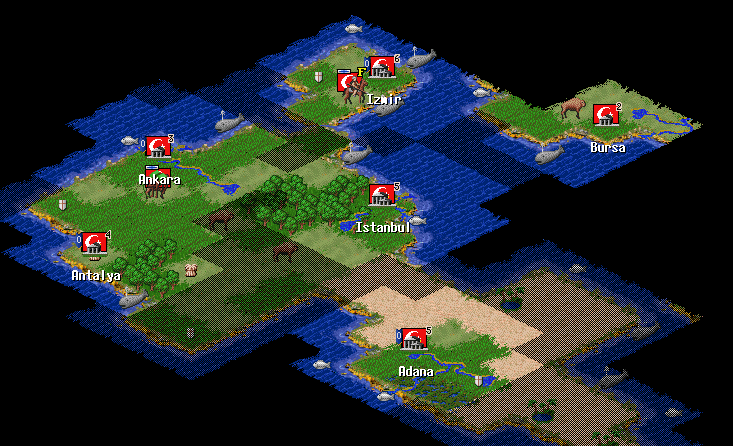 Red: Civilization style add to FreeCiv in near futur. Blue: In R-Hires but not in FreeCiv.